Phelix Odiwuor, populary known as Jalang’o or simply Jalas astounded many when he revealed how and when he lost his virginity. Jalang’o became a house hold name after his magnificent role in papa shirandula. 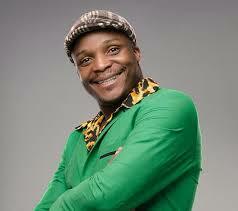 He went ahead to be a radio presenter at Kiss 100 and later moved to Radio Maisha. As we speak, he is among the most sought after MCs in Kenya, thanks to his KTN’s TV show, Jalang’o with the money. Adelle Onyango, a top radio presenter who works for Kiss 100 is the one who extracted this secret from Kenya’s leading comedian and MC, Jalas. On her ‘celeb quick fire,’ he unleashed thunderous questions making Jalas disclose most if not all his top secrets.